Whether you love to fully immerse yourself in jungle-style surroundings with plenty of foliage and eye-catching blasts of bold, bright colour, or prefer to mix up traditional planting schemes with hints of exotic charm, lush and leafy Cannas are a well-rounded and easy-to-grow candidate that will really pack a punch in a sunny spot! Cannas are a funky and impressive summer bedding plant, best known for their fabulous, broad architectural foliage and vibrant blooms. Many varieties have striped bi- or tri-colour leaves which bring interest to the summer garden as soon as they’re planted. 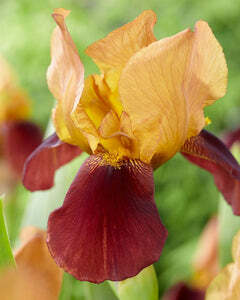 Throughout summer, they’ll grow taller and continue to produce these fresh, richly-coloured leaves. 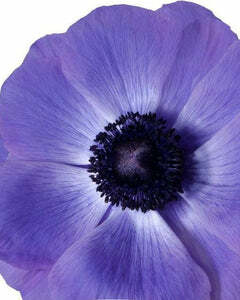 Then, to really put the icing on the cake, you’ll get a fantastic display of big, bright flowers at the top of each plant for an exciting pop of colour which lasts from late summer through to autumn. With all this to offer, Cannas really do add a special season-long value. 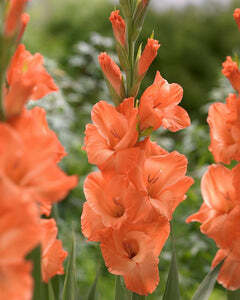 Both tall flowering and dwarf cannas create a lavish foliage display that will pad out any planting scheme with colour. With an upright and columnar habit, whilst being impressive and grand, they have a handy narrow footing which means they can be enjoyed in a modest space – perfect if you want to plant a punchy group of them in a large border or pack them in to a small corner bed. 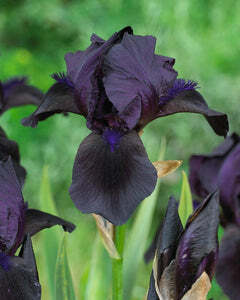 Tall varieties are ideal for planting at the back of the border, and the dwarf varieties are a real gem, perfect for positioning in smaller spaces, containers or at the front of the border. Cannas are adapted to tropical temperatures and therefore not hardy in the UK, but despite this they do very well when used as a summer bedding plant. 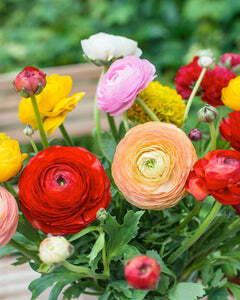 What’s more, they’re very easy to grow too. Supplied as rhizomes in the spring, it’s possible to get a great display from cannas by planting them directly outside in late May. But, if you have a heated greenhouse or conservatory in which to start them off in the spring, that’s the best way to go and they’ll already be looking fab by the time you get them out into the garden at the start of the summer! 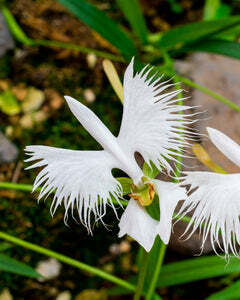 Start Cannas in temporary pots which are approximately 20cm in diameter. 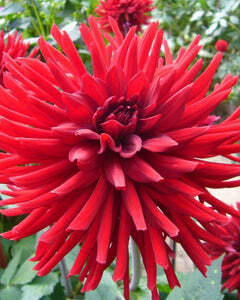 Grow-on in warm conditions such as a greenhouse or conservatory between March-May. Three-quarters fill your pot with multi-purpose compost and position the rhizome across the soil surface with any shoots facing upwards. Top-up with compost so the rhizome is very shallowly planted with any shoots exposed. Water in after planting and keep the pots hydrated, but not soggy. In late May or after risk of frost has passed, allow your plants to harden off gradually by leaving them outside during the day and bringing them in at night for the first week or two. 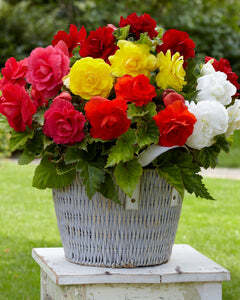 Plant outside in pots or borders once the plants have hardened off. Carefully remove the entire plant and root ball from the pot and plant in an equal-sized to the root ball. Position the plants at a spacing of around 30-50cm. If planting cannas straight outside, wait until late May or after risk of frost has passed. 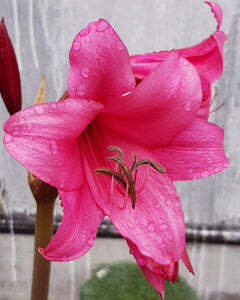 They will be a little behind cannas which have been grown on indoors, but will still put on a good display of foliage from mid-summer onwards followed by flowers a little later. Plant the rhizomes shallowly in the ground or in a container with multipurpose compost and cover over with soil so that any shoots are still exposed. 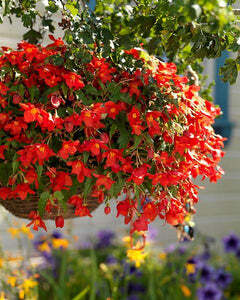 Water well after planting and keep well hydrated by watering every day until the plant is in full growth. Cannas require very little maintenance once in full growth, although they will benefit from a fortnightly feed using an all-purpose liquid feed from around mid-August. 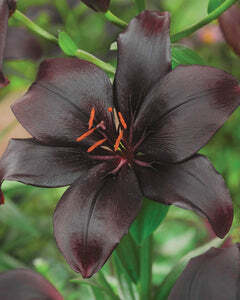 This will boost flowering and improve foliage vibrancy. 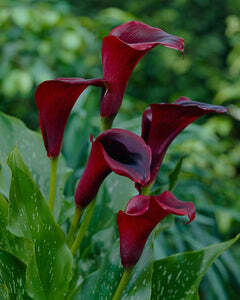 Deadhead your canna flowers regularly and they will go on to produce more blooms right through to the first frosts. As soon as frost is forecast, it’s time to cut back your cannas and decide how to overwinter them for use next year. Cannas are not frost hardy, although they have been known to survive a mild UK winter and return for a repeat display the following year. If you live in a mild area or you have a sheltered or secluded garden and they’re planted in a sunny spot, you can often get away with just adding a very thick layer of dry mulch or compost over the rhizomes – this would need to be a good 20-25cm thick to keep the frost off. To be on the safe side, it’s best to lift and store Canna rhizomes for winter. To do this, carefully dig out the rhizomes and shake off any excess soil. 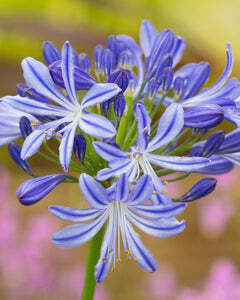 Cut back the stem to just 5cm and discard the old foliage. Then store in trays in a cool, dry and airy place throughout winter. They can then be potted up and used again from March onwards. 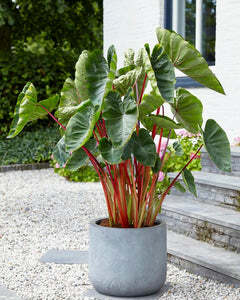 Tall cannas are perfect for growing at the back of the border where they can act as a lush and attractive screen. 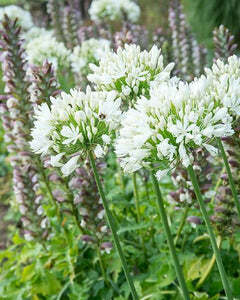 Alternatively, they’re the ideal choice for planting in dramatic groups in the middle of a wide border. But despite the fact that they’re tall, they’re quite narrow so you don’t have to have a huge space to grow them. You can also use them to create a bit of privacy or a secluded garden hideaway in a small space – perfect if your garden is overlooked by neighbours! 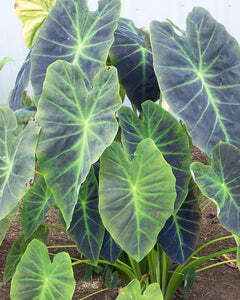 This Canna has possibly the most striking foliage of all, with pink, green and mauve striped leaves with hints of yellow. With almost a rainbow of colour just from the leaves, you’ll have plenty to look at throughout the summer season, followed by a big hit of extra colour from its vivid orange flowers from late summer onwards. 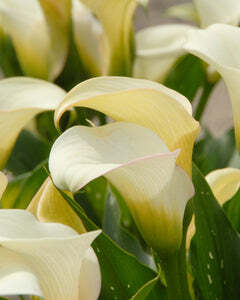 This unique Canna has wonderful green and cream variegated foliage which provide a bright and contrasting display all summer long. From late August onwards, you’ll be rewarded with plume of elegant apricot flowers to add a third splash of colour to the mix. The large mauve-tinged green leaves of this variety are the perfect addition to an exotic planting scheme, bringing that lush a dense display which forms the perfect backdrop for any surrounding brightly coloured flowers. In late summer it really comes into its own with a punchy display of apricot blooms. 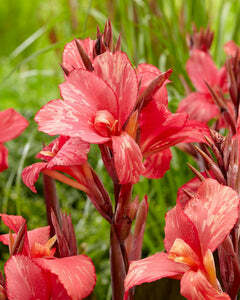 Dwarf canna varieties are ideal for planting in large patio containers or in smaller or more forefront border spaces. There is a great choice of dwarf Cannas to grow, all with unusual foliage and flowers to bring long-lasting colour to the summer garden. Your garden will look like a mini paradise with these bold beauties, flowering in late summer with wonderful coral-pink and intricately marked apricot flecks. The foliage is a rich bronze colour which sets the perfect contrast for the vibrant flowers as well as surrounding plants in your garden. This compact Canna is a real delight in the garden, producing a dense display of exotic, broad foliage throughout summer and then topped with stunning orchid-like blooms from August onwards. 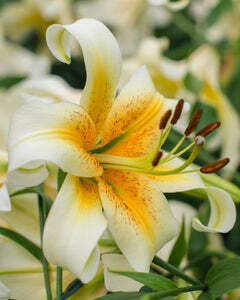 Each petal of these unusual cream-coloured flowers is patterned with a speckling with tiny salmon pink dots. Perfect for more toned-down displays, or for use as highlighting plants if you already have enough colour! These wonderful cannas produce lots of lovely fresh green foliage throughout the season, providing good, strong structural show. 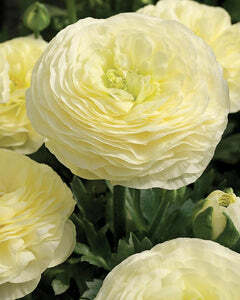 Then from late August, you’ll get a fabulous show of plain cream-coloured blooms which last right through to autumn. With their stunning, broad and intensely-coloured foliage, cannas are not only stunning n their own right, but they make the perfect backdrop for other summer flowers before they go on to produce their own vibrant blooms later on in the season. Plants with a contrasting habit and bright flowers make the perfect planting partners, creating a really full and long-lasting show that lasts all summer long. Dahlias and Cannas have long been a popular pairing, both sun loving and flaunting a vibrant, tropical look with their blooms and foliage. Choose any type of Canna and Dahlia and they will undoubtedly look fantastic next to each other in a sunny border or patio planting scheme! 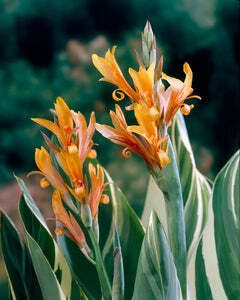 Broad-leaved plants like Cannas create the perfect setting, allowing more delicate flowers like Bessera elegans to fully strut their stuff in front. 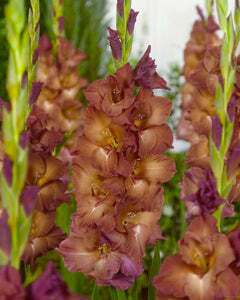 The dainty but vividly-coloured flowers of Bessera will really shine when planted in front of a patch of Cannas, particularly dark-leaves varieties. 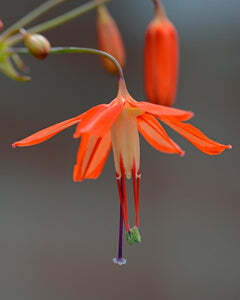 Though flowering at different times, Anomatheca and Bessera provide a tropical-looking successive display which will last from early summer right through to autumn. The splashy salmon-pink flowers of Anomatheca laxa in early summer will contrast wonderfully against young Canna foliage, then gradually give way to the Canna flowers which will take over the colour display a bit later on in the season. I have just received a birthday gift of 3 bags of mixed cannas bulbs (3 per bag) from my sister-in-law (Mrs Bradbury) via Holland, I think! They are the dwarf variety, I believe. 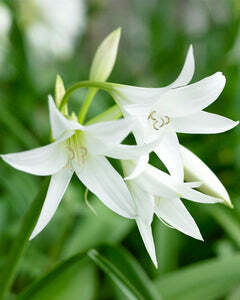 We live in the North-West, can be prone to frost until May and do not have a green-house, though small shed. Reading up on your web-site should I leave it until May before planting into individual temp. smallish pots? I was thinking of putting them into 2/3 honey-pots (Size 36cm each). 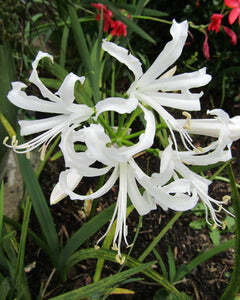 Can be kept in sheltered part of garden until about to flower and then transfer to the patio. I would be grateful for your advice. Many thanks.